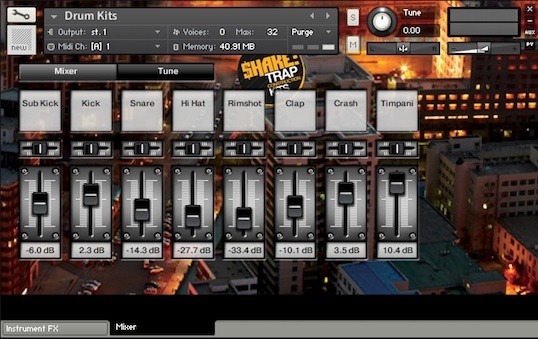 Shake up the trap scene with these 10 incredible construction kits jam packed with all the filthy synths, speaker-busting drums and tasty FX loops that a trap production could ask for. All elements have been broken down into their own perfectly edited loops. You'll find all the drum parts have been broken out into their own loops for easy mix and match and custom mixes. 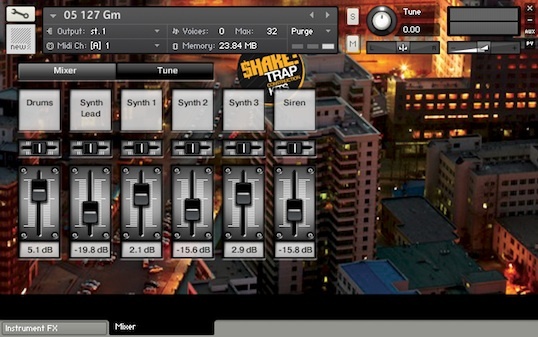 In addition, all the drum hits are also available as one-shots to easily create your own trap smasher. Finally, all the content is available in acidized WAV, REX, Apple Loops, and Kontakt formats. 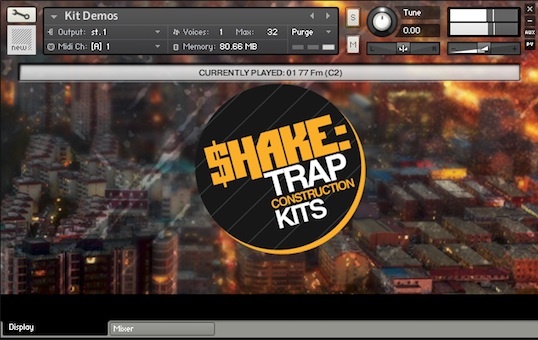 Shake: Trap Construction Kits' Kontakt format also includes Drum Kit patches. The Drum Kit patches include each drum hit from the product organized by kit. You will also find "Instrument Set" patches where each group of instruments has been given their own instrument to quickly find the exact part to fit your needs. 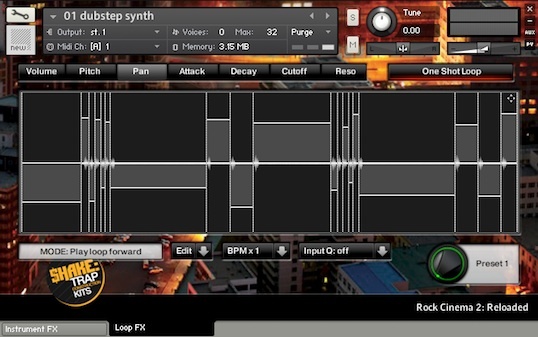 For example all the lead synths from the whole product can be found in the patch called "Lead Synth.nki". - 10 Construction Kits: All kits recorded at tempos between 73-148bpm in various keys. - Each Kit includes a folder of drum hits as well as a folder of each drum element broken out into their own loops. 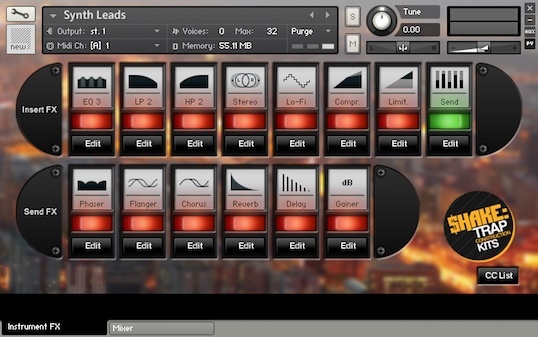 - The FULL version of Kontakt 4.2 or higher is required to use the KLI Version of this product. - 10 instrument set patches including drums, drum stems, FX, melodious percussion and bells, strings, ambient synths, lead synths, and other miscellaneous synth loops. 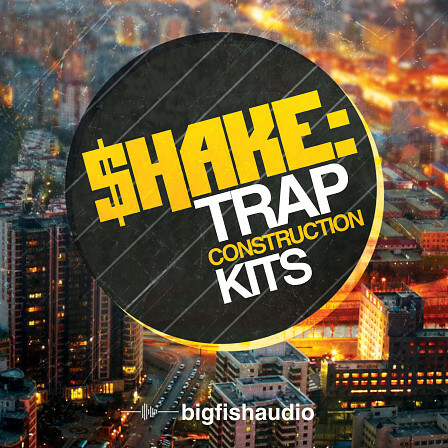 The Following End User License Agreement is included with Shake: Trap Construction Kits. 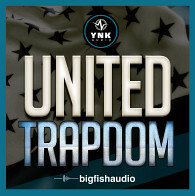 This License is only valid for the individual who has purchased an unopened, new and lawfully made copy of Shake: Trap Construction Kits from a dealer or distributor authorized by Big Fish Audio.